The bookmaker is using the spot to push in-play football betting, and inject some 'pep' into its overall marketing. Conceived by Bark&Bite and shot by Spanish director Ernest Desumbila, the ad squashes in numerous football references against a soundtrack by Knife Party. It is, according to marketing campaigns chief Pete Spiers, in keeping with a wider spirit of internal innovation taking place at William Hill. He added: "From a campaign perspective, we’re looking at something truly disruptive. That’s a word that’s bandied around a lot in advertising and marketing, but we truly believe this is." Specifically, Spiers claimed that this new campaign is more eye-catching than anything from rivals Paddy Power or Ladbrokes, featuring slick direction and mixed media. "There’s a bit of a homogenised nature to what our competitors are doing, you know what to expect," he said. "One aspect of our brief [to Bark&Bite] was that if you were standing in the pub, and you heard the music, you’d be compelled to turn your head and watch the screen." It would seem hard to argue that William Hill rival Paddy Power is "homogenised" in its marketing, with its headline-grabbing stunts such as driving an 'immigrant lorry' around Calais. But Spiers argues William Hill’s new thinking extends further than ad spots. He points to WH Labs, William Hill’s specialist, Shoreditch-based tech team. The company has just unveiled a tech accelerator to find disruptive start-up partners. It is also about to launch Project Trafalgar, a major site update that will give the firm more customer data. On the bricks-and-mortar side, the firm has been dabbling with virtual reality and installing eight-screen HD video walls with the aim of maintaininng its shops' appeal. Still, the investment isn’t bottomless. In its half-year earnings to June, William Hill revealed it had spent £11m less on marketing than the equivalent period in 2014. Chief executive James Henderson said this wasn’t about spending less but being "more efficient". He added that 2014’s increased spend was down to the World Cup. Spiers told Marketing: "We’re looking to be targeted with spend, and it’s a case of using insight and technology to minimise wastage. "In terms of our brand, we fully intend to maintain share of voice in the market. It’s just a bit more strategic, honing in our audience." That means trying to get existing William Hill customers to spend more money, rather than trying to attract newcomers. Spiers noted that rival brands offer attractive odds to reel in new customers, while William Hill gave enhanced prices to existing consumers. Spiers said: "We’ve got a loyal base to look after, and we want to maintain 'stickiness'. It’s a sustainable business, and it’s not just about putting people into the top of the funnel." It also means targeting consumers at the right time, in the right place. Spiers explained that the company is taking an 'omnichannel' approach, where consumers can interact with William Hill through mobile, online or retail. He added that 30% of the bookmaker's customers between the ages of 18 and 34 use both retail and online to place bets, so continued investment in shops is critical. At the same time, 43% of the firm’s online revenues come from mobile. 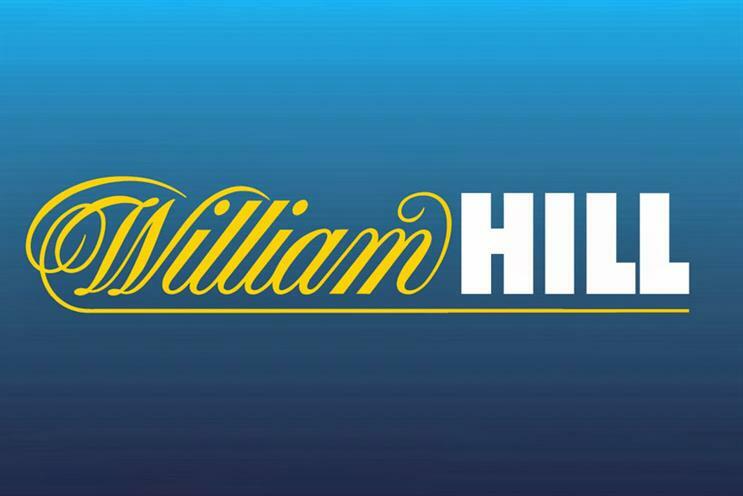 William Hill is still missing a global CMO after Kristof Fahy left for The Telegraph earlier this year. Fahy is yet to be replaced, with Alex O’Shaughnessy, director of marketing for William Hill online, stepping in for the interim.